We are an AAU program that focuses on building teams for competitive tournaments. Our philosophy is to help each player develop their skills, specifically, proper shooting form, dribbling left and right, and proper footwork. Our Wolverines coaches focus on these fundamentals during practices, as well as preparing each player for their role in the team concept. The Wolverines coaches are highly reputable in the Bay Area basketball community who are able to guide a player in developing their skill set. There isn’t a player in our program who hasn’t improved their physical skills and mental basketball IQ. However, we believe the desire to improve lies within the player. He or she must want to improve, must want to hear coaches recommendations, must want to listen. It is our hope that Wolverines coaches help facilitate this desire by instilling a fundamental mindset that can only be summarized as The Wolverines Way. Many players may want more individual skill development than our practices allow. Our coaches can easily provide this one-on-one attention. At the same time, we openly encourage players to participate in basketball camps and training outside of the Wolverines program, specifically the referred programs below. As you can imagine, we have come across many coaches and trainers, but the ones we refer are highly reputable due to their impressive track record. Players who try these programs learn from coaches with proven success in training players be the best they can be. These programs understand it takes a team of coaches with an effective coaching philosophy and positive attitude to maximize a player’s potential. Without hesitation, check out our recommended training programs. 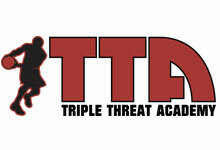 Triple Threat Academy was awarded ‘Best Camp in the Bay Area’ from Bay Area Parent Magazine for 2009 and 2010. Tony Freccero, Triple Threat Founder and Coach, has assembled a highly reputable roster of coaches considered the best in developing player fundamental skills. Tony even allows the Wolverines founder Reno Ursal to coach at Triple Threat camps once in a while! Give TTA a try by calling 510-306-HOOP! The Golden State Warriors basketball camps are highly recommended training for all players who want to learn from coaches who work for the only NBA Team in the Bay Area! The Warriors hold camps for all ages year-round at various locations in the Bay Area. Also look forward to giveaways and possible guest appearances by Warriors players. And don’t be surprised to see Wolverines parents & players alongside you at camp registration! Register for a Warriors camp today at 510.986.5310! John Lucas, who played 14 seasons in the NBA, was a member of the 1986 Houston Rockets finals team. Since retiring from the NBA, he has remained active in the basketball community. 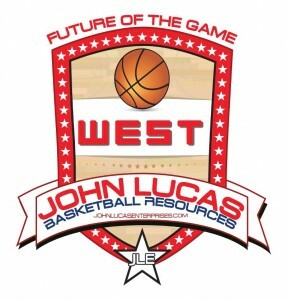 The John Lucas Future of the Game camps have quickly become a must-attend camp throughout the AAU circuit. Future of the Game West camps are held every May in Las Vegas and are targeted towards up & coming 6th grade boys players. We are proud to say that 3 Wolverines 6th grade players have attended this camp (and not only returned with a better understanding of basketball, they returned very, very tired!). The Pro Shot Shooting System is a premiere shooting program that holds shooting camps nationwide! They train NBA, college and youth players on the shooting form that will increase shooting percentages. Currently, they work with The University of Arizona’s Men’s & Women’s program, and various NBA and college players. Their program outlines the myths of shooting the basketball and identifies the real reasons for missed shots. In a nutshell, they provide high-level understanding of the art of shooting the basketball. In January 2012, Pro Shot held a shooting camp at Kimball High in Tracy, opening the eyes of many Wolverines and non-Wolverines players on how to properly shoot a basketball.